The Kyadondo East legislator Robert Kyagulanyi Sentamu alias Bobi Wine has rallied the youth to become active in politics and stop being used as and dumped like condoms. Bobi Wine made the remarks while meeting different groups of youths from Bubende and Nakaseke who called on him at his home in Magere Wakiso district requesting him to endorse with the People Power flag. 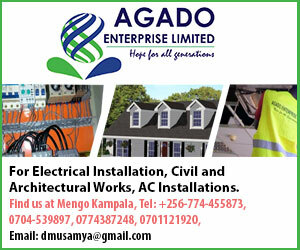 Speaking to jubilant youth, Kyagulanyi appeared undeterred by the threats and violence that was metted out to him by the Special Forces Command soldiers who beat him to pulp on August 13 while campaigning in Arua for Independent Kasiano Wadri. Kyagulanyi had to be flown out of the country to the United States for expert medical attention following the horrific incidents. His fellow member of the People Power movement, and Mityana Municipality MP Francis Zaake was flown to India to repair a broken neck and back. Although they both returned to the country, they still show signs of disability inflicted on them by the beatings. 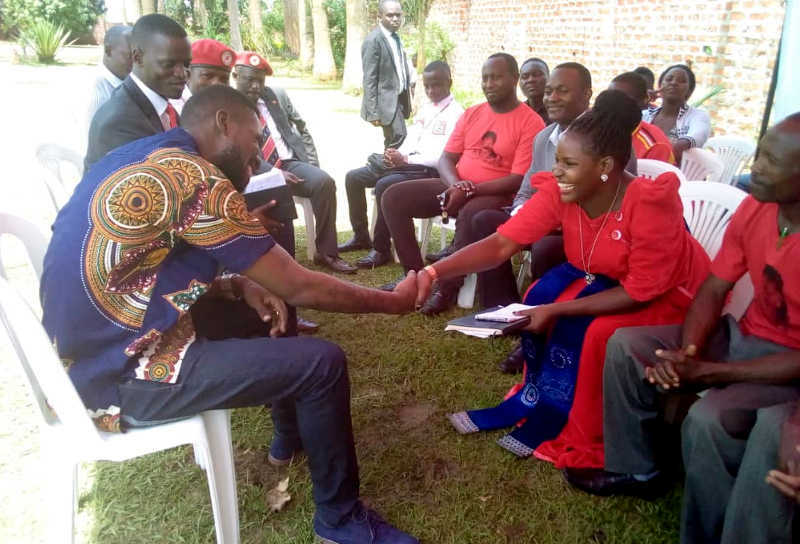 At Magere, Kyagulanyi met with delegations of youths led by Kawuuka Ismail, a contestant for in Kasanda district and Esther Nakawooya, a contestant from Nakaseke district. Nakawooya wants to take Nakaseke district as the Woman Member of Parliament in 2021 General Elections. She also urged fellow youth to come out and join politics and liberate Uganda. 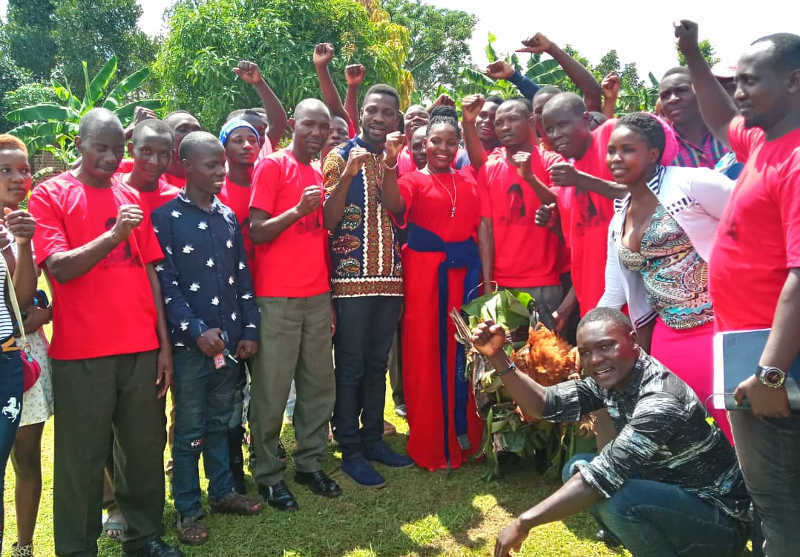 The youths donated a number of gifts that included food items like Matooke, chickens, fruits saying they were meant to welcome him from the incidents of suffering such as detention and torture.